I'm really proud of my two books (see right): and I love to see them on my bookcase. I once had the pleasure of seeing someone on the tube reading Image to Interpretation! (Well, I did know them, and we were on the way to the same academic conference, but still). I'm also proud, in this day and age when we keep hearing tales that academic publishing is going down the dumper, that I managed to crank out a couple of physical books (and three more are hopefully on the way, although edited collections, in the next year) before it becomes harder and harder to do so. I want to buy something I can enjoy and or/ keep with this. Perhaps a reference book - but which one? perhaps a nice bottle of something. So, dear blog reader, anything to suggest? 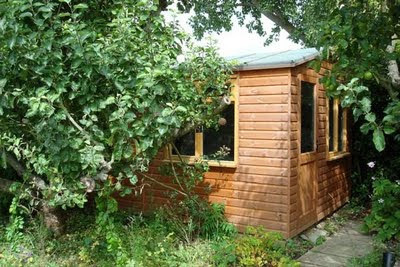 In case you wondered what it looked like, here is a picture of my lovely shed. For a few years there, I did a lot of music. I was in various bands, played piano in bars, and recorded various things. From 1998-2004ish I mostly worked with my mate Thom Falls, on a project we called Varjak. We released our first 4 track EP at the start of 2002 on our own "voxel" label. I'm still proud of it - got some good reviews, sold enough to cover costs, nice to have pulled something together. Electronica, with melancholy vocals. I dont know if they are the kind of songs I'd write now, but as a point in time - its a good record of where we were at. We've still got an album's worth of material kicking around that needs tidied up. Life (house moves, proper jobs, partners, babies) kind of got in the way - and its probably time to think of revisiting it - or just revisiting music - all again. After all, we have the darkroom studio at home, and its just a time and energy thing that is stopping me.... ("just" a time and energy thing!). I dont need to tell you how much the music industry has changed in the past 10 years. We wouldnt bother pressing up a cd now (although, how much fun? mastering a cd and going to the plant to get it pressed up? holding it in your hand?). 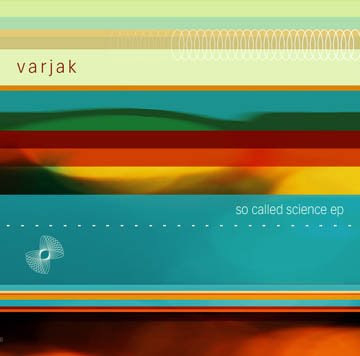 I'm pleased to say I've finally got my act in gear, and Varjak: So Called Science is now available on emusic for cheap purchase online (and should be coming to other online music stores soon). But I'm still left with a couple of boxes of CDs under the bed, and lets face it, they aint going anywhere. So here's the deal - if you email me (m dot terras at ucl dot ac dot uk) with the subject line "CD please!" and give me your address, I'll pop one in the post to you, whilst supplies last! Cant say fairer than that! Crikey. I had better think of dusting off the varjak website at some point too. Ach, that can wait. Last week was a busy one. I know that some folks check in here to see what academics do - so here's what I did. 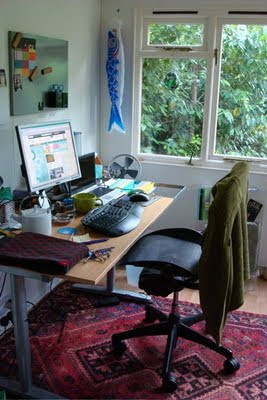 Monday - in my lovely shed at hame, writing, editing, catching up with email, catching up with admin. Started my next paper which is due in for the Arts Libraries Journal regarding emergent issues and digitisation. Tuesday - Much of the same. In the shed. Making the camera ready copy for the book based on the DHQ edition, and working on editing the two volumes that I'm doing with Brent Nelson from Saskatoon, on digitising medieval material and textual culture. Wednesday -off to Oxford Uni, to meet with various members of the team from the e-Science and Ancient Documents project. Thursday - off to Roman Silchester, to hang out at the archaeological dig and catch up with things regarding the VERA project. The sun did shine, but no treasure was to be found that day, alas. Friday - off to Antwerp. Work and play that one, to catch up on the TEI By Example project, and see Edward Vanhoutte and family, and have a good gossip about various digital humanities things. Regarding the post below - just got a letter in from the Advertising Standards Authority. As I suspected, not within their purview. But they very helpfully suggested trading standards addresses I should contact. Will continue to keep you posted! I saw something at the weekend that made my academic blood boil. In Sainsburys, Gillan McKeith food bars (which are only labelled "Gillain McKeith" vitamin C bars on the packet) are still being sold as "dr gillian mckeith" products, according to the pricing information. For the uninitiated, Ms Gillian McKeith is a tv celebrity who has a program in the UK called "You are what you eat". She helps obese people get thin through the revolutionary tactics of encouraging them to eat healthier, eat less, and move about more. She has a string of well selling books, and related foodstuffs. So where's my beef? Firstly, her poor understanding of science has long been discussed on the interwebs. This is someone who doesnt really get basic high school level biology, yet has made a career explaining it to us lesser mortals. But secondly - Ms Gillian McKeith is not a medical doctor. She has a doctorate (like myself) but unlike me, and most of my colleagues, her PhD was gained by correspondence course from a non-accredited American college. Her research has never been published, never been vetted. And yet she has in the past paraded her "Dr" as if it was equitable to those aquired by rigourous academic study and examination and publication. 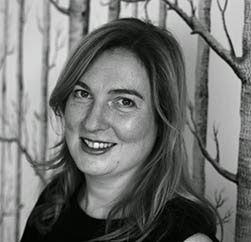 A draft adjudication by the Advertising Standards Agency in 2007 suggested that her products allegedly breached two clauses of the Committee of Advertising Practice code: “substantiation” and “truthfulness". To avoid public publication of this document, Ms McKeith accepted “voluntarily” – not to call herself “doctor” in her advertising any more. And yet, here we have Sainsurys selling Dr Gillian McKeith products (let me stress one more time for the lawyers- this is on the Sainsburys printed material, not Ms Gillian McKeith's packaging). Why does this make me angry? Firstly, doing a PhD is tough. Its hard work. Buying one off the internet is just not the same as going to an accredited school and putting in the hours. (Lets go over the difference between a PhD and a medical Doctor: PhD's have been granted to those reaching the highest standards of academic achievement possible since medieval times. Physicians have only been called "doctor" since the 18th century - and this only to distinguish those who had some medical training from untrained barbershop surgeons - so anyone who suggests having a PhD doesnt make you a "real doctor" can go and whistle). It generally takes around 4 years of dissertation work, on your own, to get a PhD from an accredited school. You are examined by experts in your field, and if you are good enough you may go onto publish your dissertation - but at any rate your research will generally be made public in the library of your institution (yes I know there are time barred exceptions). I repeat - buying one from the Internet is just not the same. And in that four year stretch, your friends from your undergrad and postgrad degrees will go on to get jobs, buy houses, go skiing, start families... and you will still be existing off Sainsburys basics range, wondering how you will pay the next phone bill, and stressing about the fact the library shuts on a friday evening as you really need to keep studying. It really is a calling, and its something that only those with dedication and hard work get through (only 7 in 10 people who start a PhD in the UK complete it. And only 1 in 10 people who get a PhD in the UK go on to get an academic post. See? Stress!). It is for all those other reasons that I do not have time for colleagues without PhDs who say - "oh, I could have done a PhD. But I chose not to!" - you either go for it or you dont. Dont patronise my time spent working as a cleaner, the broken relationships, the moving house 25 times in 10 years to chase cheap rent, as something you "could have done". The fact is, you didnt. And dont buy one of the Internet. We can tell if its an accredited qualification, you know! Sainsbury's selling this as "Dr Gillian McKeith" products is therefore as wrong to me as them advertising something as Organic, when it isnt, or "suitable for Vegetarians", when it isnt. It wont hurt or kill you if you eat it (unlike something "nut free" that contains nuts, or something "gluten free" that has gluten in). But it leaves a bad taste when you realise you've been sold a mistruth. (As if I'd buy a granola bar at £1.55 anyway!). I'm going to send this to Sainsburys and see what they say. And what the heck, I may as well copy a letter to the Advertising Standards Authority, and the Food Standards Agency. As for Ms McKeith? If she shows me hers, I'll show her mine. The online encyclopaedia has accused the National Portrait Gallery (NPG) of betraying its public service mission. Its a good overview of both side's story. (But I have to say I'm on the NPG's side on this one - its involving images pieced together to deliberately get round NPG's attempts at looking after their high res images). I had a grand day out yesterday, to Clare College at Cambridge. I was one of the invited speakers at the ARLIS (Art Libraries Society)conference, where I was asked to give a paper on the "changing visual image", so I did one called "Should we just send a copy? digitization, usefulness and users". I was nervous: a) it was a long time ago that I studied art history, and here was I talking to art librarians and b) I teach librarians and archivists (at MA level) how the interweb works, but that doesnt mean I know too much about being a librarian on a day to day level. But I'm pleased to report that they were all very friendly (and stylish), very welcoming, and seemed to like my rant regarding the fact we know very little about how people use digital image archives. I also really enjoyed the other papers I say yesterday, particularly Debby Shorley (Head of Library Services at Imperial)'s Keynote. Great speaker: provocative and engaging. Very rare I see a speaker who I both find what they say interesting, and find how they present it interesting. (Which is not to say that I expect people will find both in me!). - Nice to be at a conference where I am not on any committees. Havent helped organise it. Dont have to report to anyone, or take responsibility for IT fail, etc. - Strange to be out of my comfort zone in a conference where I didnt know anyone. The feeling of being 5 years old in the playground again! Which is nice, actually. And as I said - plenty of friendly faces. -It was in Husband's undergraduate college, which I've never really been into before. I'm in ur colleg, climin ur staircasez! Gorgias Press is expanding its interest in technology and classics and welcomes book proposals regarding digital classics research, for both monographs (including revised dissertations) and edited collections (based on conference sessions or otherwise). Proposals should be no more than 4 pages pdf and include contact details and a biography of the author(s), an overview of the topic and its importance, a brief description of all chapters, and a summation of how this text will relate to other texts in the field. This is an open call. Please send proposals to submissions@gorgiaspress.com. Interesting post by Bill Caraher, on "Reflecting on Academic Blogging". Something I've been thinking about recently. Why bother? What tone of voice should I use? Who is reading this? (a recent applicant in a job interview that I was on the hiring panel for said "nice blog, by the way!" which made me sit up a little. I would also file it under things not to say at a job interview. No, it doesnt mean you know me). I've been blogging for over a year now, and I still feel like I'm finding my feet. Whereas on Facebook, its clear who I am (personal, random, familiar), and on twitter (@melissaterras) I'm professional and informational - I think here I'm trying to find the space between the two, which is difficult. I dont update this enough (or have the time to read the whole interweb anymore to have many scoops to post) for it to be a news blog. Yet I am aware of the... brand?!! and dont want to rant personally without editing. I know a little about my regular readers, who may or may not be in the habit of commenting, but its a careful space nevertheless. I dont think I've mentioned it here before - but remember the DHQ issue I edited alongside Greg Crane (Tufts/Perseus): Changing the Center of Gravity: Transforming Classical Studies Through Cyberinfrastructure? Well, its going to printed up a as book, by Gorgias Press. Which means its my job to turn it from spangly lovely efficient DHQ XML into camera ready copy by means of.... MS Word templates, supplied by the publisher. Sigh. But I have put on my work gloves and back to the silicon face I go. (I figure for something so small, as a one off, there's no point wrestling with the XSLT to-PDF transformation for this particular stylesheet). Its the kind of repetitive task that is both frustrating and yet enjoyable on some level - making sure that everything is fine, slotting in an hour a day to do this over the next few months so its doesnt become too tedious. Right. Here I go. First hour, then I get to do some *proper* editing and writing for the rest of the day. ... regarding my paper at DH09, which was also blogged about by Jeanne Kramer-Smyth over at Spellbound. Some really interesting points added by Jeanne, too! Thanks for the input! And that, my friends, is how pandemics spread quickly these days. Tomorrow I gets to work in my shed at the bottom of the garden. Hurrah! Let some sort of routine prevail, for the next few weeks!